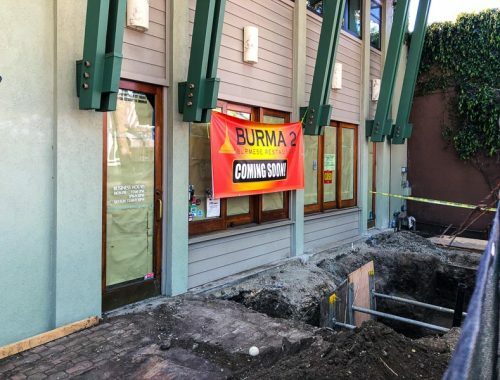 Thanks to a reader for sending word that the Vietnamese noodle restaurant Little Hearty Noodle closed recently in the Rheem Valley shopping center in Moraga. 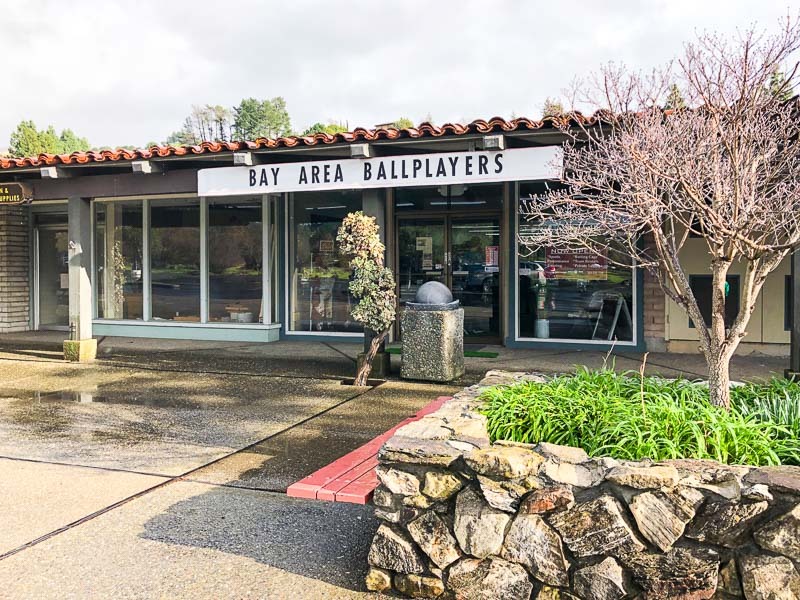 Bay Area Ballplayers, a new batting cage and sports training center, opened last month in the Moraga shopping center right near Loard’s Ice Cream. Check out their services here. Owner Steve Hammond was drafted by the Milwaukee Brewers in 2005 (6th Round), traded to SF Giants AAA in 2008 and played in Japan, Taiwan, Dominican Republic, Venezuela, Puerto Rico and Mexico. Check out his bio here. 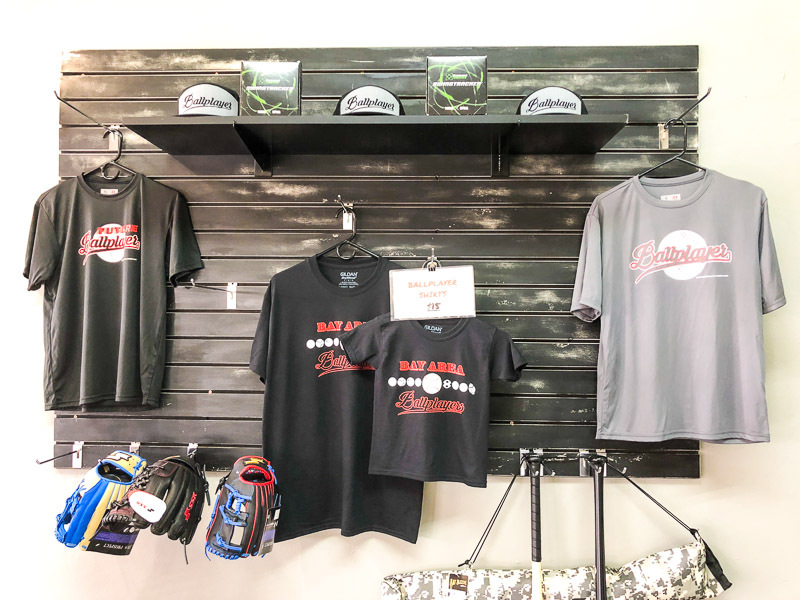 Bay Area Ballplayers is a 5,200 square foot athlete training facility equipped with functional fitness equipment, a 70 foot batting cage, 2 pitching mounds, the latest technology in performance tracking and data analysis, and a retail storefront with apparel & sporting goods. I dropped by the Moraga shopping center one night where Safeway is located and it turns out the email below is spot on. Dozens of lights are out, the lights that are on are not particularly bright, and some sections don’t have adequate lighting at all. 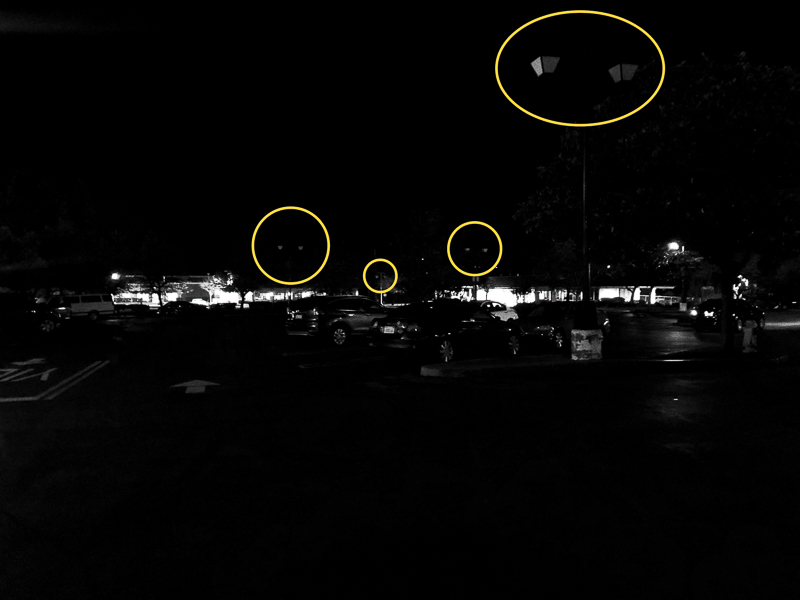 The above photo shows one section of the parking lot with non-working lights circled in yellow. 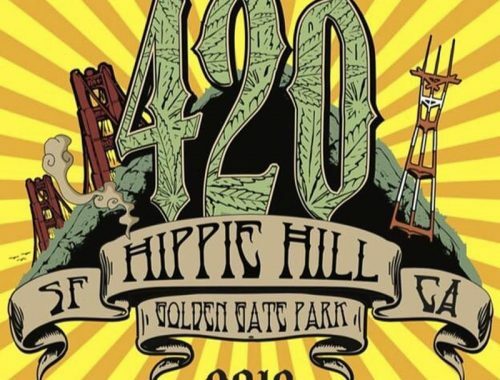 Anyone know who to contact about this? 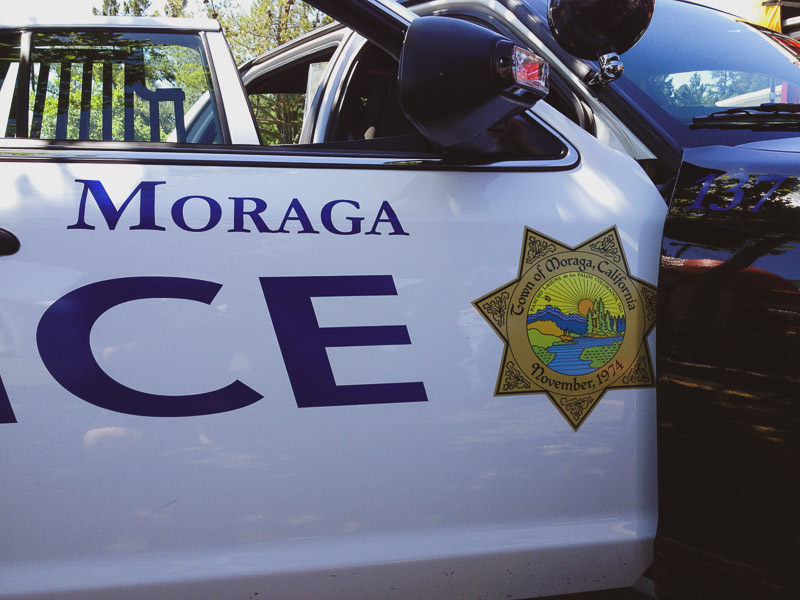 I am a resident of Moraga and would like to know who to contact regarding the lack of lights at the Moraga Shopping Center. It is very dangerous and I have seen too many people trip due to the lack of light, drivers finding it difficult to see people in dark clothes or small children, and it feels very unsafe. 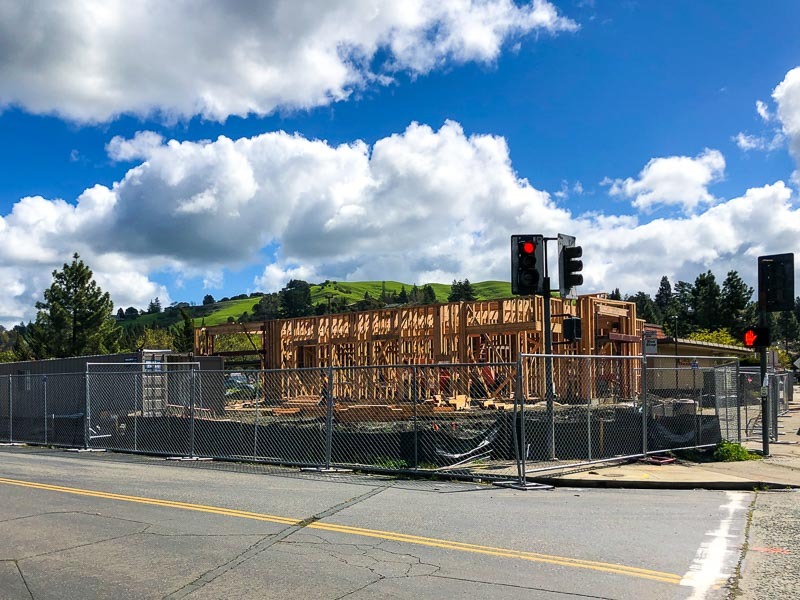 How do I contact those that own and manage the Moraga Center and ask them to take responsibility for the unsafe environment they are creating by not maintain the lights in their parking lots. Someone is going to get hurt if they have not already. The town asks us to shop and support our local businesses but not at the expense of people’s safety. 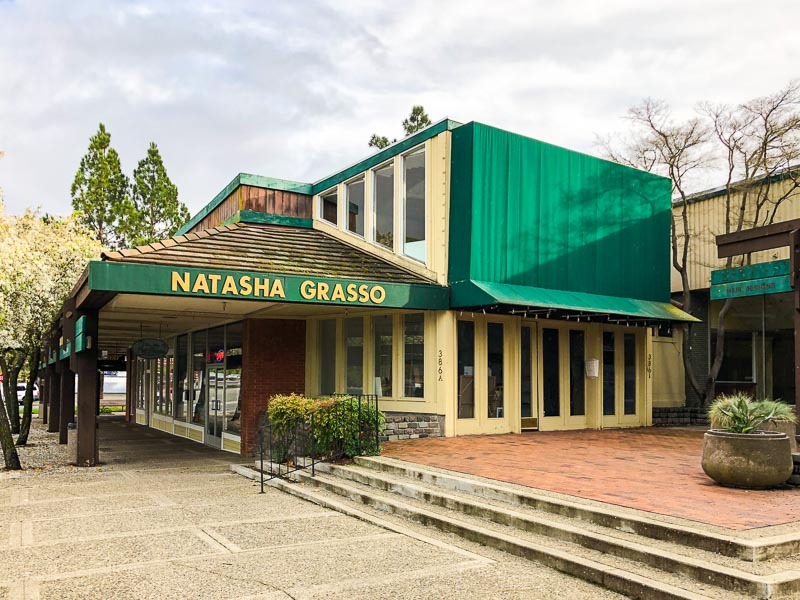 Natasha Grasso Jewelry, which opened a showroom three years ago in the Rheem Valley Shopping Center in Moraga, has closed. 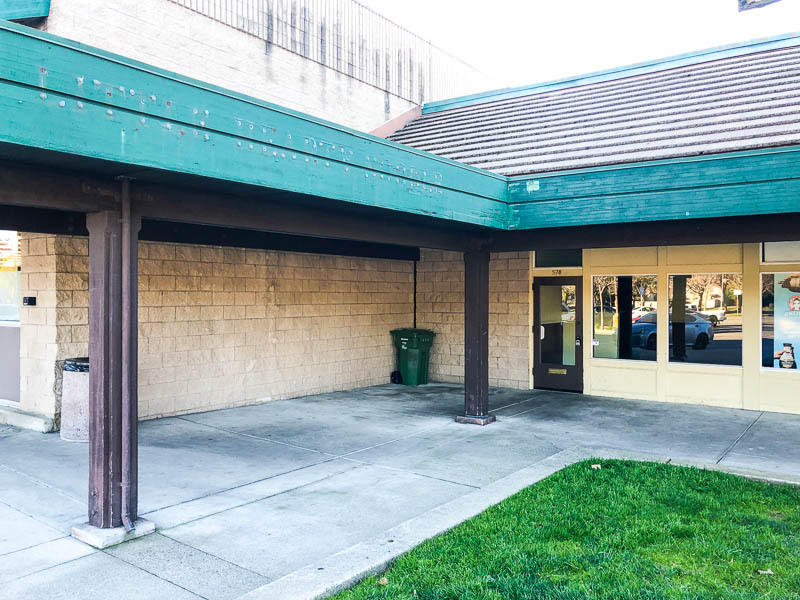 According to their Instagram page it looks like they’re relocating to Roseville. Check out their online collection here and sign up for their BLING BOX monthly subscription service here. 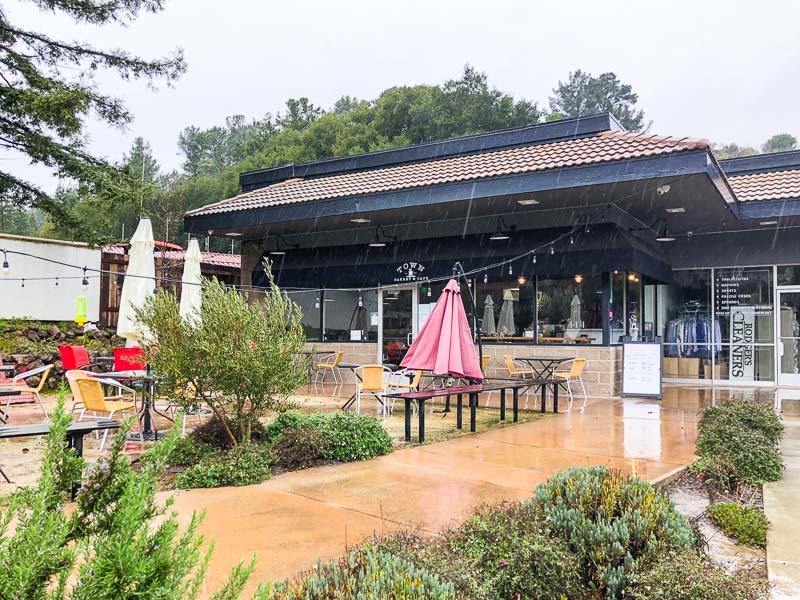 Town Bakery & Cafe opened last year in Moraga and they are planning to offer beer and wine once they get their alcohol license. Check out their breakfast, brunch and lunch menus on their website here. 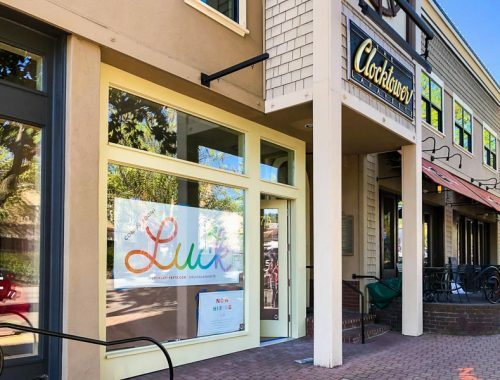 In addition to coffee, drinks and pastries they also offer dinner Tuesday through Friday. 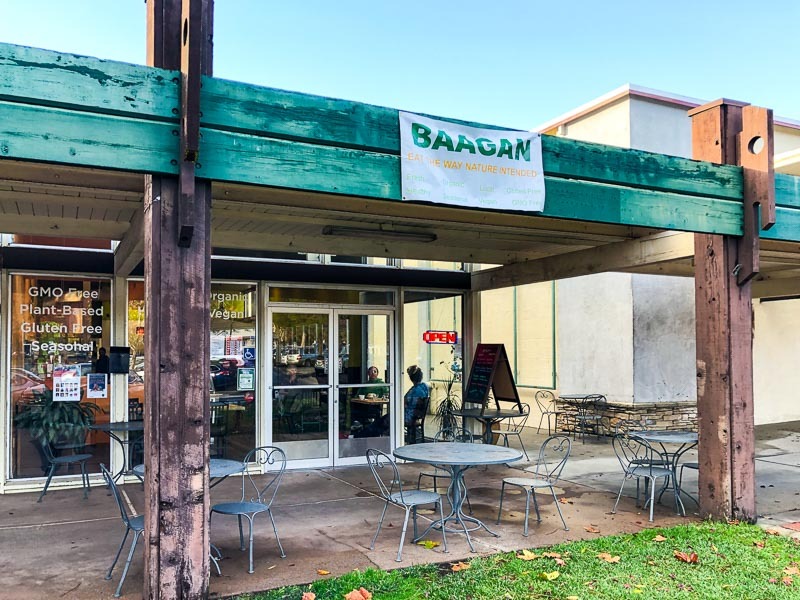 The owners of New Delhi Bistro in the Rheem Valley shopping center in Moraga have decided to switch gears and open a new vegetarian restaurant called Baagan. 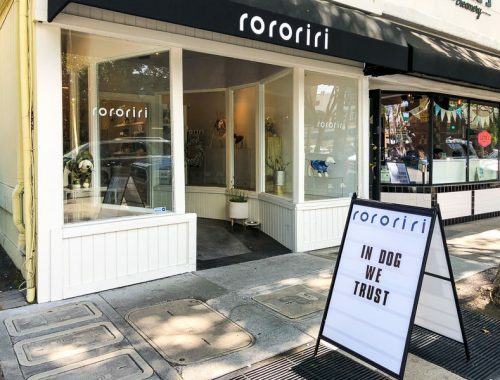 Check out their menu here. 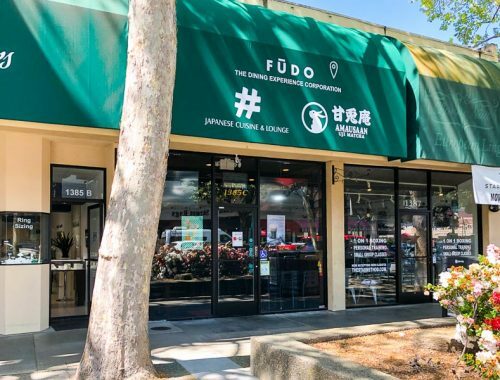 Note that the San Ramon location is a different owner. 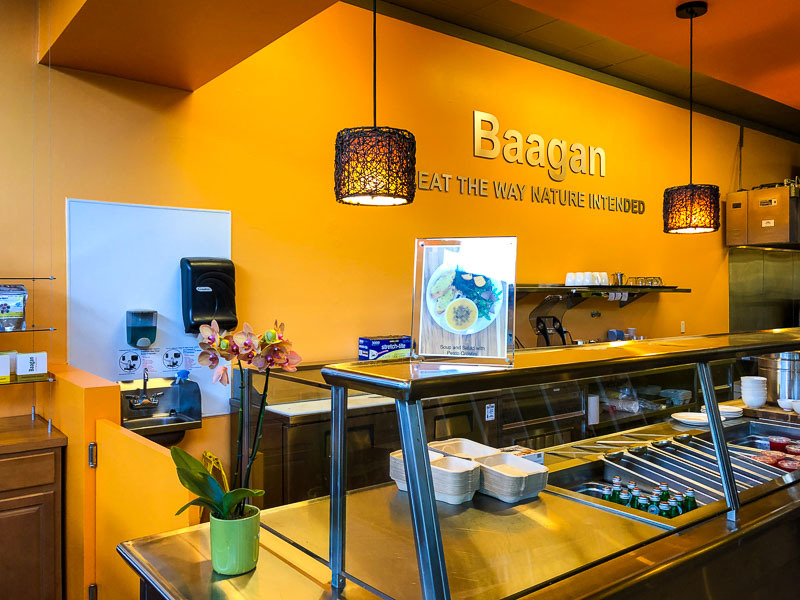 Although New Delhi Bistro is gone, Baagan will still feature dishes with Indian spices. 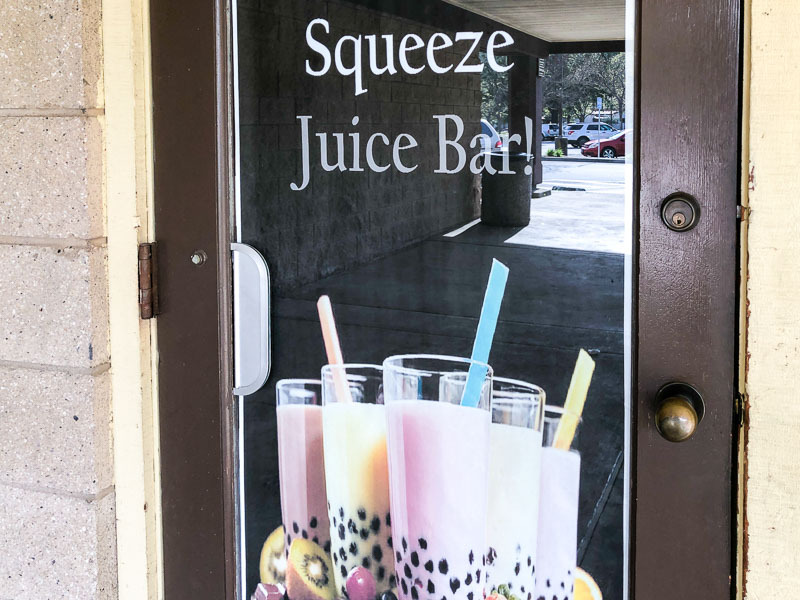 We’re dedicated to providing scrumptious vegan dishes and drinks that will satisfy your cravings without compromising taste and nutrition. We use local, organic, fresh, seasonal, GMO-free and mostly gluten-free ingredients to make very delicious and healthy recipes. Our chefs cook hot food every morning. We use different spices to flavor food for therapeutic reasons. We focus on eco-friendly and sustainable practices. 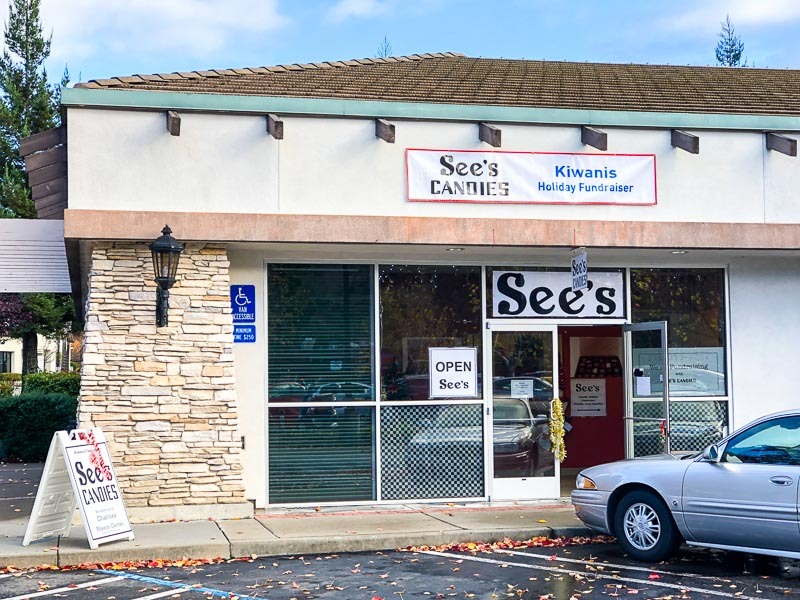 The annual See’s Candies popup shops opened in Moraga at the Rheem Valley shopping center, next to Starbucks, open until December 24, 10am – 5pm. 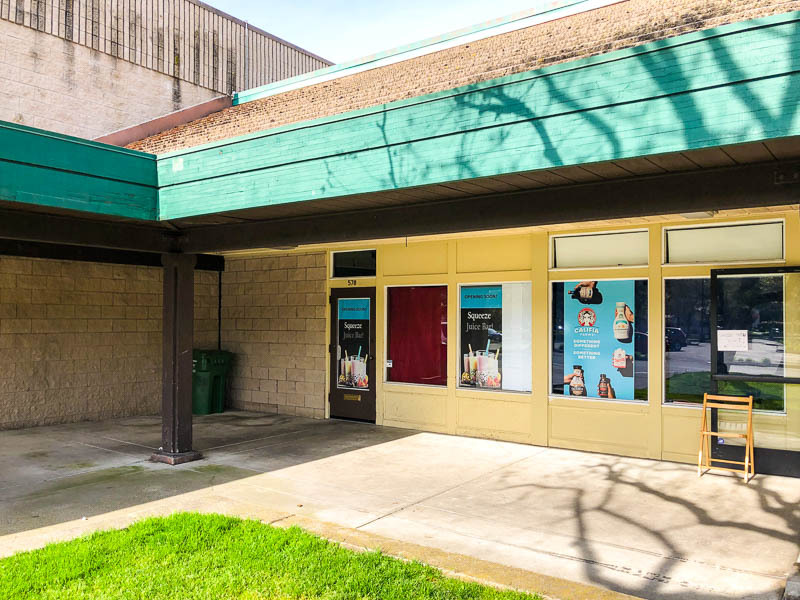 Another popup is located at the Moraga Center between Loard’s Ice Cream and the Moraga Garden Center.